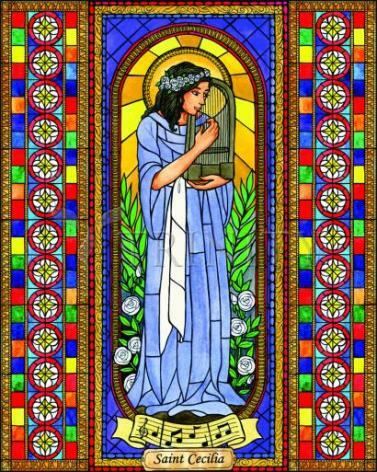 Born in Rome, Cecilia was an early Christian of extreme courage. When her rich family arranged a marriage for her, she “sang only to God in her heart” during the wedding. That night, she explained to her husband, Valerian, that she belonged to God and couldn't be his. Her plea was so sincere that Valerian was converted and Cecilia's guardian angel appeared and crowned them both with white roses. Valerian’s brother, Tiburtius, also converted and the brothers were martyred for their new faith.